This wasn't the first time he's gotten into trouble. 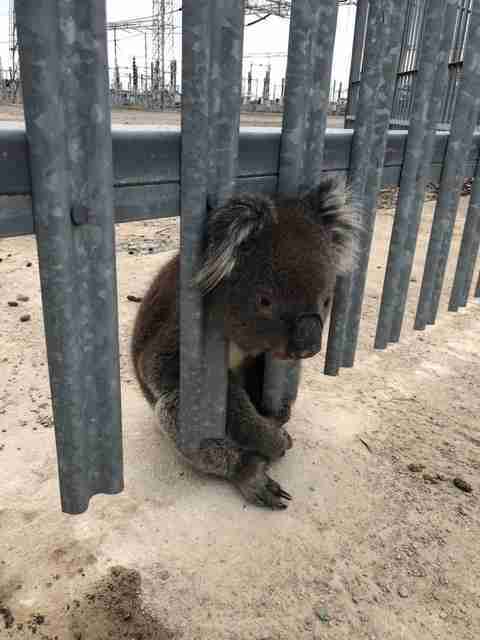 A wild koala found himself in a bit of a sticky situation Tuesday when looking for a refreshing drink of water didn’t quite go as planned. 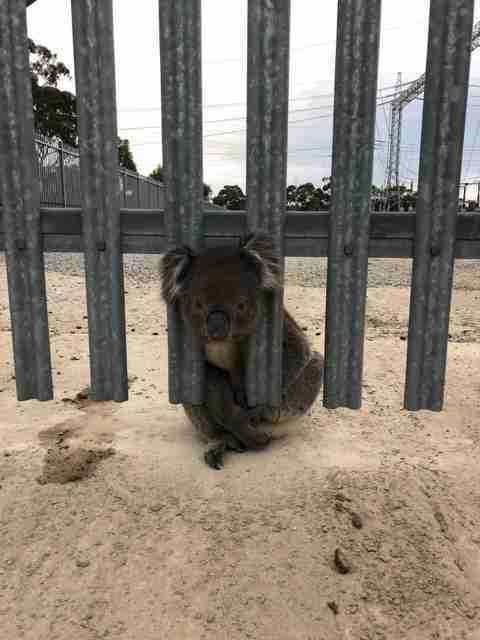 Volunteers at Fauna Rescue SA, a wildlife rescue organization in southern Australia, received a call at 8:30 a.m. concerning an errant adult koala who had become stuck in a metal fence surrounding a nearby power station. Apparently, the little animal had been attempting to crawl under the fence, but when he sat up, he got his head caught between the bars. And, from the expression on his face, he was not happy about it. It was most likely by necessity, not choice, that the koala came down from his tree perch in the first place. 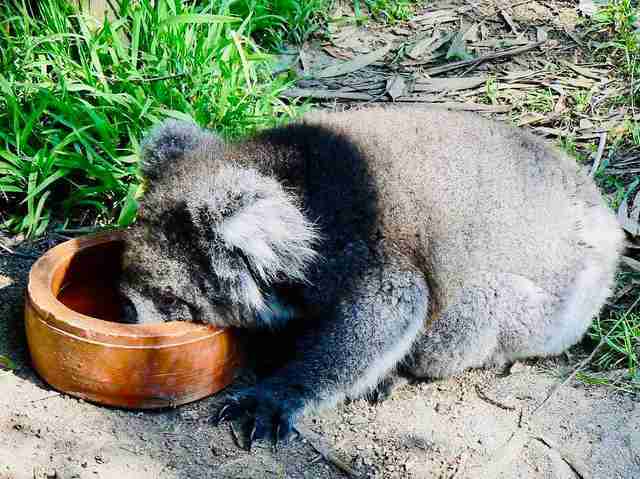 A koala’s strict low-calorie diet requires that they remain sedentary and sleep approximately 20 hours a day. So while this 20-pound koala didn’t have the energy to escape the situation, his rescuers knew just what to do. When rescuers found a yellow tag identifying the koala as number 678, they realized this wasn’t the first time their paths had crossed. The unlucky koala first got into trouble in 2016, when he was found unresponsive at the base of a tree. Later that year, he was clipped by a car, and spent a few weeks healing before being released yet again. But this type of accident-prone behavior isn’t so unique, says Selwood. To help koalas and other wildlife in need, you can make a donation to Fauna Rescue SA.